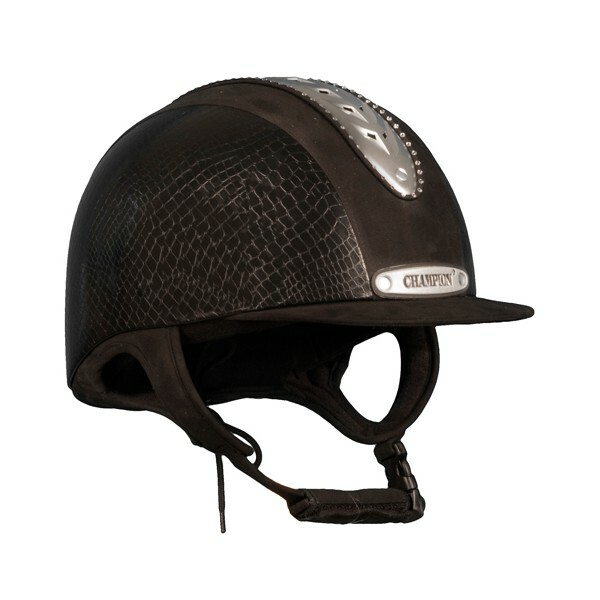 The new limited edition Champion Evolution Couture features genuine Swarovski ® crystals and a striking synthetic crocodile skin finish, for a high impact look you will love. 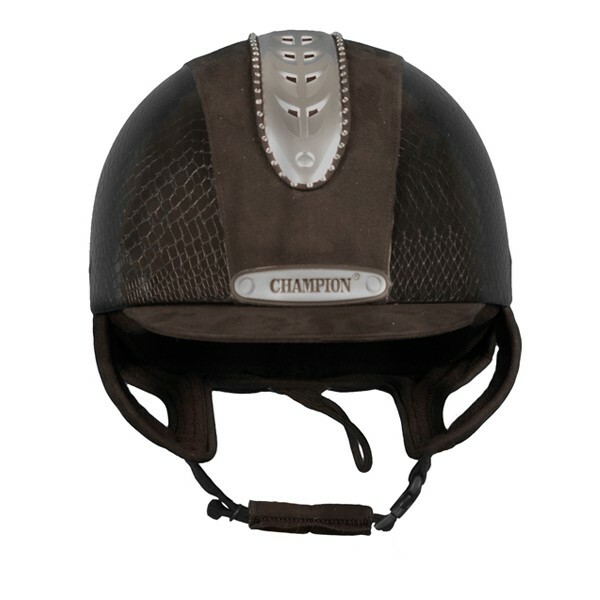 This stylish low profile, modern and lightweight hat is made by Champion in the UK and is built with a glass fibre shell which incorporates a high tech ventilated airflow system. Kitemarked to PAS 015 2011. 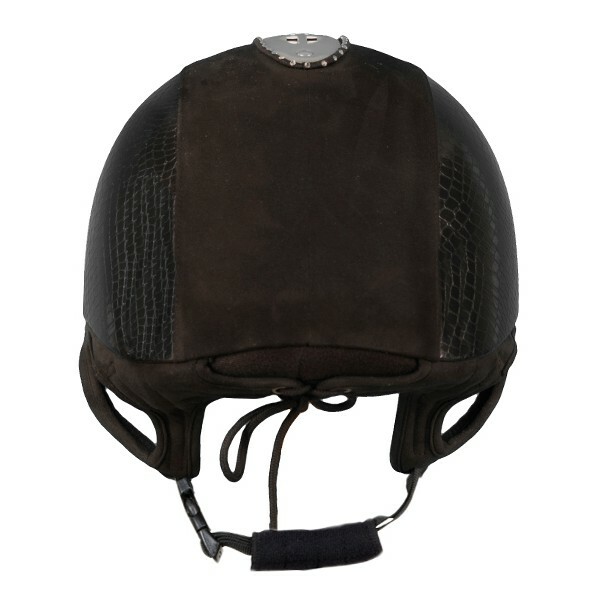 The harness of the Evolution Couture is made from soft padded luxury synthetic nubuck with a rear drawstring and incorporates a quick release buckle for ease of use.